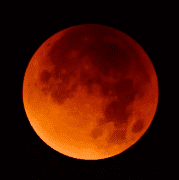 January 20 is the night of a lunar eclipse which can be seen from north central Pennsylvania. Although today we know why eclipses happen, it was not always so. As a result, there is a lot of folklore about eclipses. Join us as we explore the science and lore of eclipses. We’ll also provide tips on observing tomorrow night’s lunar eclipse.